It is our pleasure to introduce you to Master Mechanic Ajax. We hope that you can find all the information you need to familiarize yourself with who we are, what we do and how you can find us. We promise to do our utmost to deliver our professional service in a very personalized manner and we thank you for wanting to learn more about us. At Master Mechanic Ajax we want to build a long term relationship with our customers and we promise to always give them the guidance they need for their vehicle. Our Master Mechanic Ajax store is independently owned and operated which means that we are providing a personalized service to our customers. 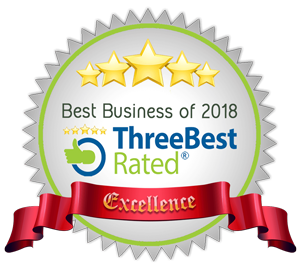 We strive to be the only auto repair and maintenance choice for each of our clients by creating long term relationships which have been earned through consistent delivery of outstanding service quality in an environment which promotes trust, fairness and respect. It is this dedication that differentiates us from our competitors as we continually strive to deliver an outstanding customer experience to each one of our satisfied customers. "Very happy with the service at this shop! First time in and I was treated like a regular. These guys go above and beyond to take care of their customers, everything from good honest suggestion making to service updates to great pricing. Mike even drove me..."
"Very happy with the service at this shop! First time in and I was treated like a regular. These guys go above and beyond to take care of their customers, everything from good honest suggestion making to service updates to great pricing. Mike even drove me home in his personal truck because the shuttle service was busy. Highly recommend this shop thanks again guys!" Experience with Mike & the team made my day! "Very pleasant experience going to this shop. I needed to get my rear brakes done on my impala kind of in an emergency. I called Mike on Saturday around 8am in the morning to try and get the breaks done that day. I was pretty sure he was going to tell me no way it could be done but actually he told me to he would call me back in 5 mins to let me know how much it would cost. After 3 mins he called me back and gave me a price that was 150.00 cheaper than another mechanic that actually did my front brakes last year. I said ok let's do it he told me to come in for 10.30am. The whole experience with the staff seemed like I had been going there for years. Very honest people, love doing what they do. I will definitely recommend all my friends and family members to go see them. Thanks so much for your hard work guys this experience actually made my day." "One of the best mechanics I have ever been to. I have been to a lot of mechanics before, and this is the most helpful place I have been. They do not try to scam you. They give you want you need, and get you out of there ASAP. Big s/o to Mike for being kind and helpful." "Had to purchase new winter tires and came in end of day on a Friday evening. Even though Mike was fully booked, he made time for my car. I had a dead battery another 2 weeks after that and came in on a Monday evening. Again, Mike was accommodating and had my battery changed and I was back on the road in 15 minutes. Mike is very friendly and helpful. It's hard to find an honest mechanic but Mike goes above and beyond to make sure that you're treated fairly and that your car is fixed. Not only does he provide excellent customer service, Mike is the best mechanic that I have ever had. I will never take my cars to any other mechanic. A+++++ service." "Very happy with the services I received at this shop. Mike and his crew are very friendly and honest. Their shop is clean and work is done in a timely manner. I'd recommend this shop to my friends and family! I will definitely be going here in the future." "A first for me! I had the unfortunate situation of blowing my front struts right at the peak of the holiday season. Mike and the guys took me in right away and gave me an unbelievable quote and did everything they could to make me feel well taken care of. Not only did they fix my problem that same day, they did the unimaginable to me, they came in cheaper than their original quote. Needless to say, this was a first for me. I can not express enough, just how amazing my experience has been and I am now, for the first time in my life, able to say "I have a guy"! Thank you so much to Mike and the guys down at Master Mechanic's in Ajax. Bill Templeton"
"I had taken my car in to install my winter tires. Carlo noticed that the tires I had (purchased from a BMW dealership) were not Winter tires but actually summer tires. Mike showed me the tires I owned and the manufacturers catalogue which confirmed this. I went back to the dealership and they acknowledged the error and swapped the tires for me at no charge. Impressed with Carlo's attention to detail, Mike for educating me and Daniela for her excellent customer service. They did not even charge me for the tire swap and amazingly did not try to sell me anything !!! Now i have the proper winter tires installed which is important for my family and myself. This is the second positive experience I have had with Master Mechanic Ajax (Mike and the Mechanics) as they also did a brake job on my Altima a few months ago for a LOT less than the dealership quoted. Thanks Guys much appreciated." "An excellent experience! Fast, courteous, informative and pleasant. A busy day at a busy time of year and I was treated exceptionally well. Carlo and Mike went out of their way to make sure I was on my way as quickly as possible. I believe I have found a new and trustworthy mechanic. Thanks guys - you rock! I'll be back!" "Fast, efficient, reasonable and friendly service. These are the best words to describe the service I received for my Chrysler at Master Mechanic Ajax, Fairall St! Mike booked my car in for the initial assessment right away. I was provided a full repair explanation and options for the repair. No unnecessary repairs were recommended and the price was fair and reasonable. The work was done as efficiently as possible I was even provided pick and drop off as it was a lengthy repair and they were kind enough not to leave me waiting in the shop for 4 hours. I recommend this location for anyone looking for all types of automotive repairs and maintenance." 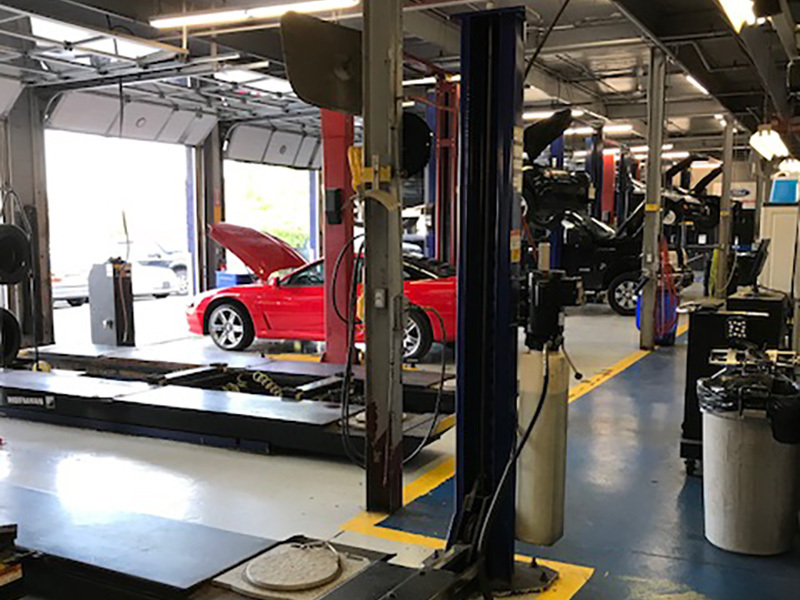 "So this review is a little late but I wanted to speak about my recent experience at Master Mechanic in Ajax on Fairall st. I came in with a leaking tire on my truck looking to get it patched and in my experience almost always the staff or mechanics are trying to you a new tire which I was prepared to do. I was so pleasantly surprised that Mike and his staff member Carlo didn't try to upsell me something I didn't need. This was quite refreshing then I felt a little more comfortable and asked Mike how much for an oil change, he responded with " the sticker says you have 1500 more km before your due , don't waste your money come back when it's time. BLOWN AWAY, could I have just found the world's first honest mechanic shop? These two men are model business owners . Honest Reliable Good prices I found my new go-to shop for anything automotive related. If you are in Durham region and looking for a shop do yourself a favour Go see Mike and Carlo and master mechanic on 265 fairall st Thanks again guys!!" "I just wanted to drop you a quick note to tell you how pleased we are with the service we receive from your Ajax location. We have been taking our vehicles to that location for years now and have never been dissatisfied with the service received. The employees are friendly and more than willing to answer any questions we may have regarding the repairs/maintenance of our cars. They go above and beyond to ensure that we understand what repairs are needed and they are honest about the cost of any repairs that are needed. The staff at the Ajax location are a credit to your company and we would never think of taking our cars anywhere else for any kind of servicing." "Thanks Alan for the honest suggestion about going to the car wash to remove the snow and ice from wheels. Took the Carolla to the car wash Sunday morning, then had it out on the 401 twice after that and the speed wobble is gone. I thought there was something seriously wrong. Your honest opinion was most welcome. Thanks again." 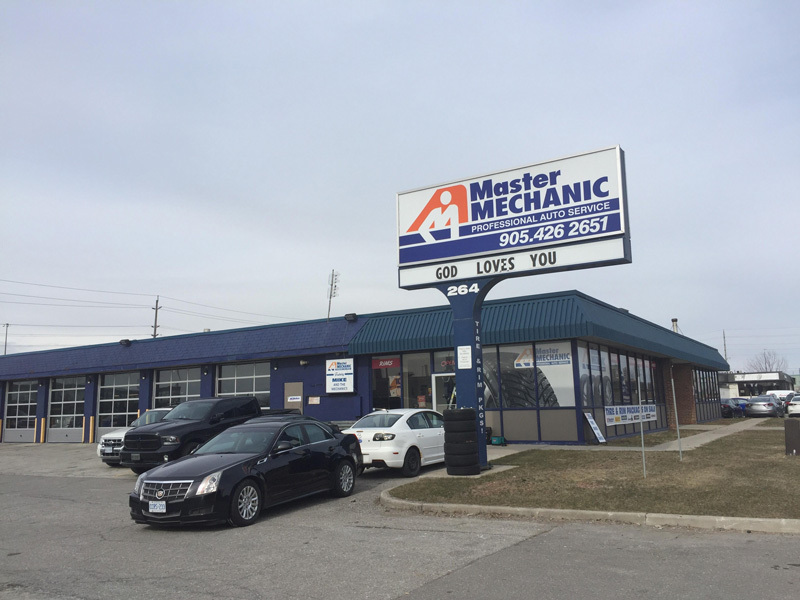 "We would like to take this time to thank our Master Mechanic friends in Ajax who provide great customer service. We have been loyal customers for many years and always feel confident that the work will be done professionally and in a timely manner. Any time we have had concerns about our vehicles in an emergency situation, Greg & Alan have always made themselves available to address the problem. Their friendly attitude and honesty provides us the confidence that we need to not worry about the care of our vehicles. Many thanks!" "I just had to take my car in to the Ajax location (due to a very foolish mistake on my part!) and I feel compelled to write to you to tell you how great these guys are! Greg and Alan are amazing. They consistently go above and beyond. I know that I can drop off my keys and not have to worry, my car is in the best hands possible. You hear a lot of horror stories about mechanics, particularly if you are a woman and it can be a daunting experience to entrust your vehicle and your money to someone. Not so with the gentlemen at Master Mechanic Ajax. I have been a long time customer and I have never received such wonderful service on such a consistent basis anywhere else I shop or do business. All of the men who work here are friendly, knowledgeable and above all honest. This is a rarity in customer service. I am always referring family and friends to this location and for that reason I will remain a loyal customer. " "Just wanted to thank you guys for doing a great job on my car yesterday. As always, I am happy with the service at Master Mechanic Ajax and would’t take my car elsewhere. "I have been a happy and grateful customer of the MM in Ajax since 1994. Prior to moving to Ajax , I had some dreadful experiences with other service centres. Therefore I consider myself fortunate to be only a few blocks away from Allan, Dan and the rest of the guys. Over the years they have always provided fast reliable work and have gone out of their way to be of service. Recently my aging pickup encountered clutch failure while heading away on vacation!Dan found us a loaner vehicle and saved our otherwise doomed holiday. I have seen a lot of garages and service centres!the MM Ajax is the best!" " I think a few accolades are in order for your Ajax store. You take care of my car on a day to day basis, but today my seatbelt wasn’t working correctly. I called in and it was fixed immediately. Not a major job for someone who knows what to do, but it got me back on the road. Thank you. It seems that old fashioned service is not a thing of the past. I sometimes wonder if compliments ever get back to the people who do the job...maybe you could pass on my thanks." "I want to extend my special thanks to the staff at your Ajax store. Not only did they do an excellent job, they were courteous and on time. They explained the work that had to be done and I feel I was treated fairly. I will return."